Building a sensory experience while also mitigating Southern Florida’s torrential rainfall was exactly what the architects for the new Pérez Art Museum Miami (PAMM) were looking for. They worked with Invisible Structures and installed a porous gravel-paving system on their partially open parking roof of the museum. The PAMM building was designed by Swiss Architects Herzog & de Meuron, with the grounds and landscaping designed by ArchetectronicaGeo of Miami. 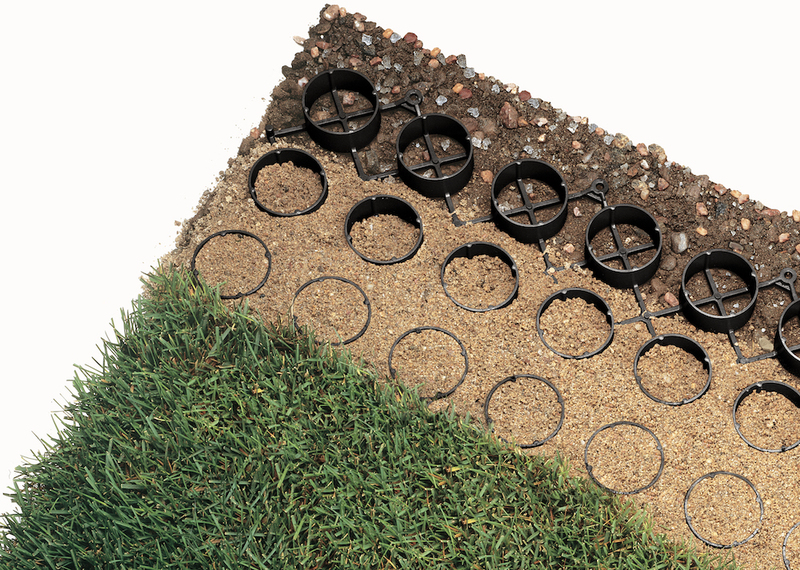 Gravelpave2, manufactured by Invisible Structures, is a system of 1-in. high cylinders interconnected by a grid with an attached geotextile fabric backing. The gravel pavers are placed on a base course and then anchored down and filled with decorative, open-graded aggregate. The system is permeable, allowing rainfall to flow through the cross-section and return to the groundwater supply. The system is strong enough to support any street-legal vehicle up to 15,940 psi. Not only was the porous gravel system used in the parking structure, but ArchitectronicaGeo also designed it on the courtyard facing Biscayne Bay and in the ADA-accessible trails in the outside sculpture garden. Approximately 77,000 sq ft of Gravelpave2 covers all three areas. Gauger said that two primary functions—the storm water requirements and the aesthetic and sensory-driven element—were met using the system.